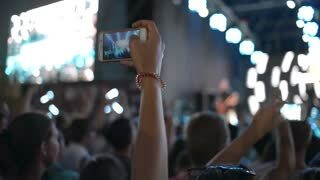 Search Results for "music venue"
Troubadour Tavern West Hollywood Timelapse. 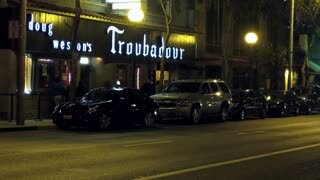 Time lapse shot of the famous Troubadour music venue in West Hollywood, California. Tyne Bridge Timelapse. A timelapse recording of traffic crossing the Tyne Bridge connecting Newcastle and Gateshead in North East England. Behind the Tyne Bridge can be seen the music venue the Sage. Gateshead Millennium Bridge. A timelapse recording of the Gateshead Millennium Bridge in the foreground with the music venue the Sage and the Tyne Bridge in the background (4k, 25fps). A timelapse recording of dusk taken from the Tyne Bridge in Northern England. The music venue the Sage, The Baltic Centre for Contemporary Art and the Millennium Bridge are all visible. A timelapse recording of dusk over the Gateshead Millennium Bridge. 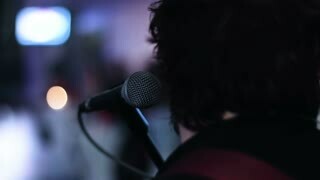 In the background is the music venue the Sage and the Tyne Bridge (4k, 25fps). Daytime pedestrian traffic outside of music venue 170 Russell near Chinatown. Troubadour West Hollywood Day. Sign of the famous Troubadour music venue in West Hollywood, California. Rainbow Roxy Signs Hollywood Sunset Strip. The famous, iconic signs for the Rainbow Room and the Roxy music venue, along the Sunset Strip in Hollywood, California. Hollywood Viper Room. The front facade of the famous Viper Room music venue on the Sunset Strip in Hollywood, California. The Roxy Hollywood Sunset Strip Entrance. Night shot of the entrance to the Roxy, a famous iconic music venue on the Sunset Strip in Hollywood, California. Hollywood Whisky a Go Go. The famous Whisky a Go Go music venue on the Sunset strip in Hollywood, California. Toronto Queen Street Great Hall 2. The Great Hall, a music and event venue on Queen Street West in downtown Toronto, Canada. 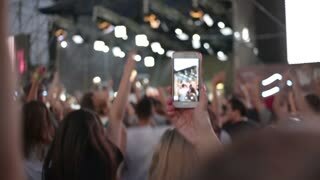 A crowd enjoys a band playing a live concert. 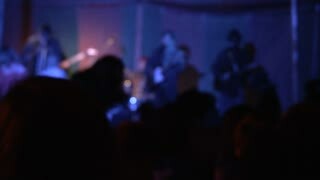 Dimly lit concert venue with young men and women drinking beer and dancing to the music being played at the event.